Recorded music is always a kind of time travel, but this unexpectedly recovered treasure really does feel like a science-fictional proposition. If you could go back to July 27, 1959, where would you like to be that day? In Nola Penthouse Studio would be a strong choice, with Thelonius Monk and one of his very best, short-lived, rhythm sections, Sam Jones on bass and Art Taylor on drums, along with Charlie Rouse, and 22-year-old Barney Wilen joining him to make it two tenors on some tracks. The occasion, as readers of Robin Kelley’s magisterial Monk biography will recall, was the long-deferred fulfilment of an agreement to provide music for Roger Vadim’s movie, Les Liaisons Dangereuses, with Monk finally calling the session after much prevarication and a visit to New York by the producers. He was working at full stretch, dealing with numerous personal vicissitudes, and not really in a position to write any new music even if he had been inclined to. So he laid down versions of a set of now very familiar pieces, along with an impromptu solo piano blues and a brief rendition of We’ll Understand it Better By and By. He gave some thought to the scenes in the film, adjusting a tempo here and there - Crepuscule with Nellie is even slower than usual - but not, one guesses, a lot. None of this matters much today, save for explaining why the tapes immediately went from New York to Paris and were then stored after the film release, unregarded, until this very welcome disinterment nearly 60 years later. What we have is a pristine Monk studio recording - the piano sound seems especially crisp - from a particularly happy period, playing-wise. The end of the 1950s puts the session after the great man had found some real public and critical acclaim, but before his quartets settled into the sometimes formulaic sound of the exhaustively documented 1960s tours. Rouse, a recent arrival, sounds superb throughout, and Jones, in particular - soon to depart for fame with Cannonball Adderley - just sounds like the ideal bass player for this music. The first CD - or vinyl disc if you prefer - presents all the Monk cuts included in the film, with sparkling renditions of Rhythm-a-Ning, Well, You Needn’t, and Ba-Lue Bolivar Ba-Lues Are, plus the tunes already mentioned. The only misfire, slightly unfortunately, is the rarely heard Light Blue. The second disc, which offers a few alternate takes and tracks with soundtrack edits restored, also has a lengthy segment including the band getting to grips with the tune. Monk is heard urging Art Taylor to keep repeating the simple drum figure he kicks off with, and which chugs on unchanged through both takes. There are several false starts, with Taylor starting up, then stopping, Monk asking, why? I think at this distance we can safely say the drummer was trying to tell him, “this is a really bad idea”. Still, geniuses are allowed their mistakes, and this is otherwise a flawless gem. 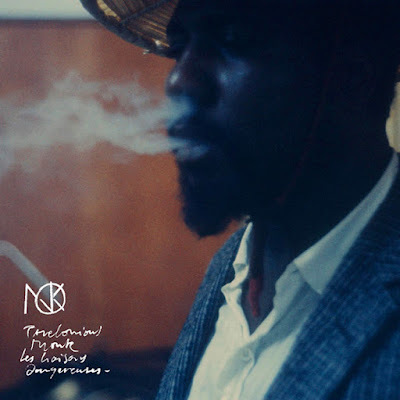 It is not quite the archival wonder we marvelled at when the 1957 Carnegie Hall performance by Monk and Coltrane was unearthed a few years back, but comes close. A 25-page booklet complements the music beautifully, with notes from Kelley, Brian Priestley and others, and a handsome set of session photos. Gaze at the pictures, then close your eyes and listen, and you might be one of those folks sitting round the studio while Monk and his cohorts do their stuff. What a way to spend a day.